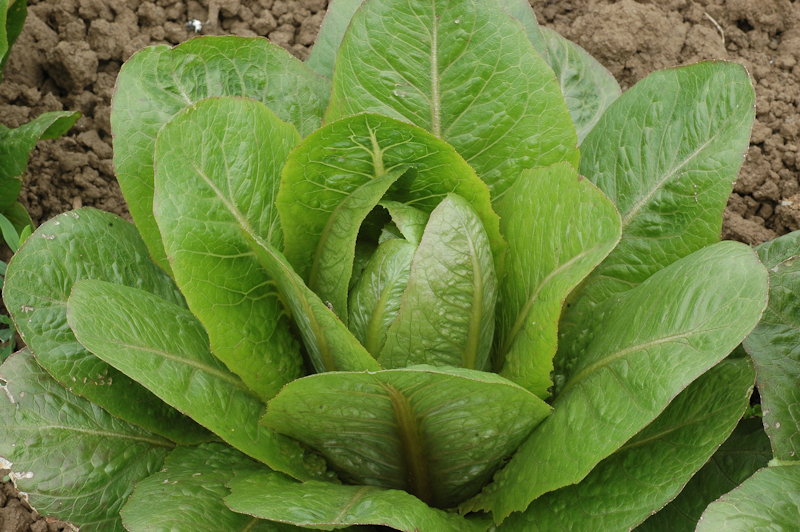 This is our least appreciated, best flavored lettuce. In replicated studies over two years that included blind taste tests by 28 teenage Botany students, 80% rated this (unfortunately named) variety as “sweet,” and less than 10% rated it bitter. None of the other of the 20 tested varieties came close to this ranking. 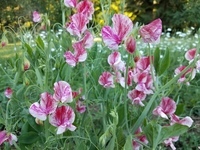 One student suggested renaming the variety “Rocket Shine” to better reflect its pertinent qualities. A tight and pointed cos head from the old Abundant Life Seed collection and one of our favorites for midsummer flavor and crunch-juiciness. Brown wrapper leaves create well-blanched hearts of golden “leaf canoes.” Named for the Goldring family of Bath, England, who introduced it.